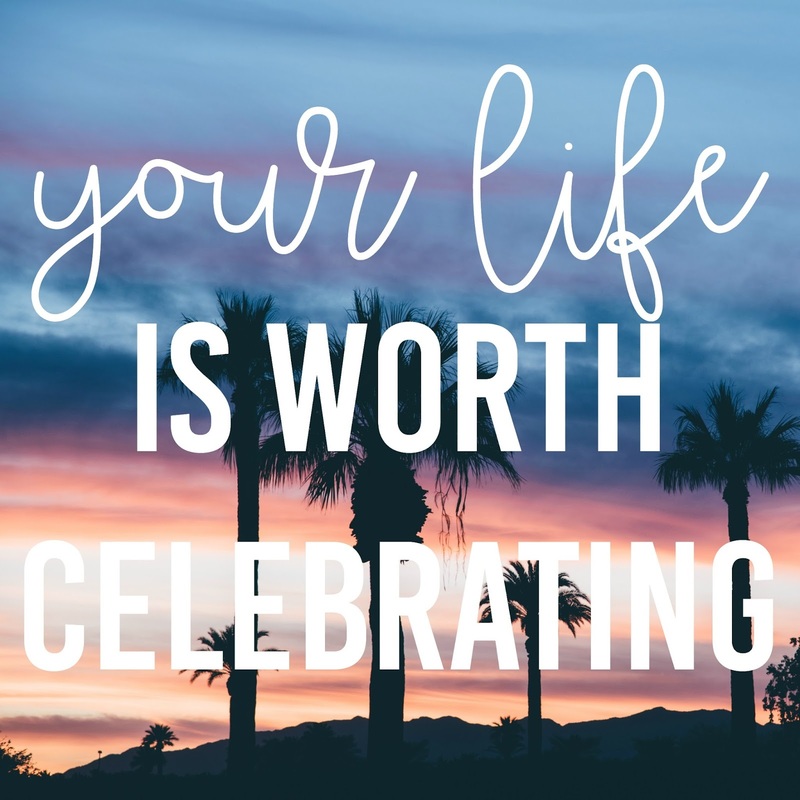 Your Life is Worth Celebrating. | The girl who loved to write about life. We're vacation planning right now and it is so much fun. I'm so excited. Everything seems so much more on vacation: More relaxing, more fun, worth spending more money on. More. Last week, my friend Helene said, "When I travel I tend to notice things more." I've been thinking about that a lot and how true that is. We tend to notice so much more beauty on vacation. We find beauty in things that we may not notice in our day-to-day lives. We wouldn't dream of missing the sunset when we're on vacation. We take 8,329 pictures of that sunset, even though we have one in our own backyard every single night that we rarely even think about. On vacation, we (or at least I do) spend a lot of time planning where we'll be eating, looking up cute and delicious places. We try new types of wine. We really take everything in. We carry a spirit of celebration around with us, whether we're eating breakfast or sitting by the pool or looking at ancient monuments. Traveling is amazing, and for me, will always make things seem more special. It will always be easier to be more relaxed or more adventurous when I'm on vacation. But I also don't want to fall into the pattern of only celebrating life during those times. I don't want to not watch the sunset just because it's a Monday and I've had a lot of work. I don't want to not try new things just because it's a normal week. I don't want to settle for boring food instead of researching cute and delicious dinner places, just like I do on vacation. Real life has more responsibilities than time off does, I know that. But I also know that I could be way better at celebrating real life more. I slow down and drink my coffee in the morning. I could try a new bottle of wine. I could take a walk. I could eat sushi just because it's Tuesday and wear bright, fun clothes because I have to wear something, you know? I could add little celebratory moments in. And so could you. Because your life is worth celebrating. So celebrate it. Watch the sunset and listen to good music and open your windows and drink your coffee and slow down and notice and savor and celebrate. Happy Monday, friends. Let's celebrate it.